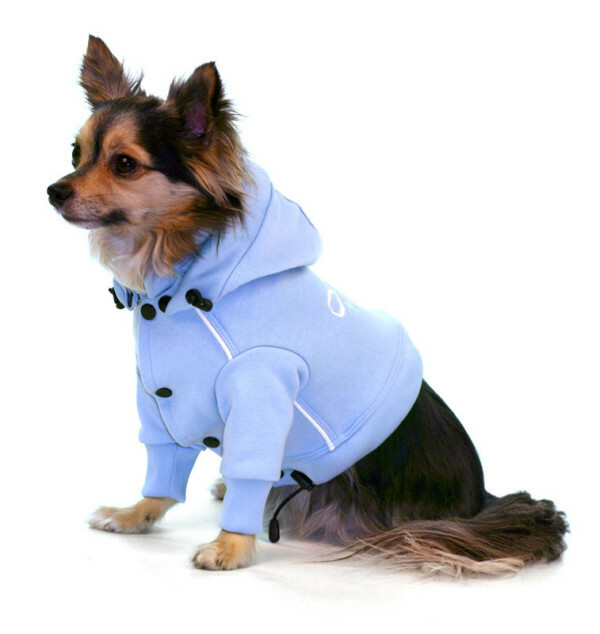 Theo hoodies are made from cotton. They have a hood attached with snap buttons so it’s easy to take off if required. They are very convenient for every day life of the dog. They also have a drawstring both in the hood and around the hips that can be tightened. 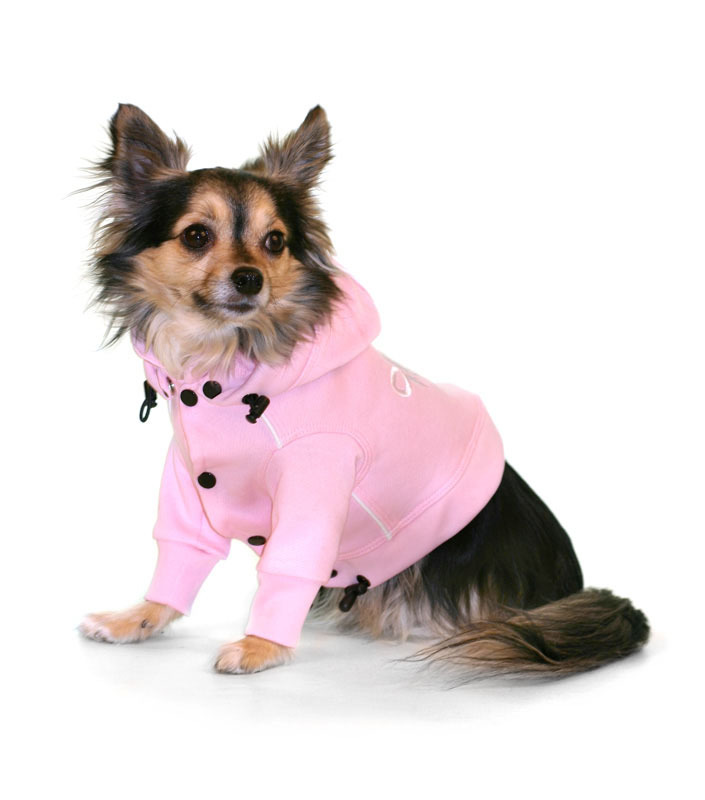 These hoodies keep the dogs warm and also protect them from the sun. 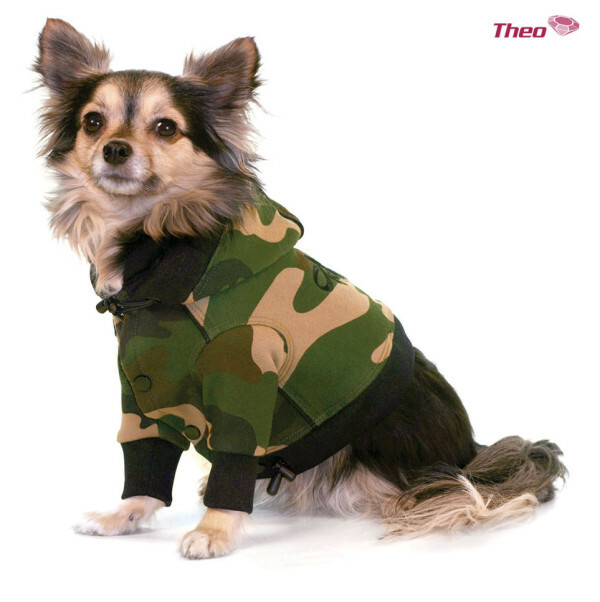 Theo hoodies for dogs, come in five sizes XS – XL and in many colors.